Puppies are usually vaccinated at 6,9 and 12 weeks of age against Distemper, Canine Hepatitis, Kennel Cough, Parvovirus and Leptospirosis, which are the main killer-diseases of dogs. Your new puppy should be kept away from public places such as parks, shopping centres and footpaths at 6-9 weeks of age, Puppyor any area where other dogs may have been; this reduces their exposure to these killer viruses. After his 9 week vaccination, you may start to cautiously walk your puppy, taking him on short exursions. Also, it is a good idea if you can find a mature, well- vaccinated dog for your puppy to play with at home (eg: a friend’s or neighbour’s dog). This is best done at 9-15 weeks of age so that your puppy learns proper etiquette and how to behave, interact and socialise with other dogs. Puppies always have worms; they are picked up from the mother both before and after birth.The easiest treatment is to just use Advocate once monthly -a few drops on the back of the neck will kill both fleas and worms in one application. If using worm pills, then they should be given every 2 weeks until 12 weeks of age and then once monthly until 6 months of age. Puppies should have a complete and balanced diet of minerals/vitamins and calcium in order to be healthy. The easiest solution is to feed your puppy on the well-known puppy foods such as canned food or dog biscuits,eg: Pal Puppy, Champ. We recommend the superior “Premium-Grade” puppy biscuits such as Eukanuba,Hills or Royal Canin, simply because of their quality. If instead you decide to feed meat and vegetables etc. you must remember this is an unbalanced way to go and you will have to give a calcium supplement and a mineral supplement and a vitamin supplement because meat is very deficient in these areas. Beware of milk as this can cause an upset stomach and diarrhoea. Keep the diet simple and try not to vary it too much- a menu offering a wide range of culinary delights is actually not a good idea. When your puppy is 6 months of age, it is old enough to be speyed or castrated. If you are not planning on breeding from your dog, it is a good idea to have this done, not just for convenience reasons but there are significant health benefits as well. It’s no fun coping with unwanted puppies, wandering male dogs and urogenital health problems.City Council registration is also much cheaper. -use Advantage or Advocate-these are excellent products that won’t fail you; apply when the pups are 10 weeks of age or older. They are very easy to use without having to spray,wash or douse your puppy and they work exceptionally well. They are easy to apply and non-toxic. 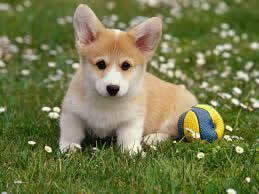 – both house-training and obedience training at home, should start as soon as you get your puppy. We strongly recommend the Puppy Preschool which shows puppies and their owners just what is appropriate behaviour and what is not. For many pups this is all they require whilst for others, further training later on at 4 months of age at other training schools may be required. The best book to get is the “Dog Listener”. It explains how to understand your dog. All behaviour problems that arise – especially obedience issues- are derived from owners misunderstanding leadership issues. This book is sold by the clinic and is thoroughly recommended. Puppies are supposed to be registered with the local council when 3 months of age. If you are unsure of something, or have any questions, please do not hesitate to telephone us at 5757 688.